No new make to share today, I’m afraid – I’m off skiing (falling over) for the week! But in preparation for the coming spring / summer, I’ve made a list of trends, ideas and clothes to inspire my new makes for when I’m back! 1. Embroidery is going to get put on everything… I’ve been dreaming of making a pair of embroidered Morgan jeans which will happen as soon as the denim I ordered has arrived! 2. Ruffles. And lots of them! 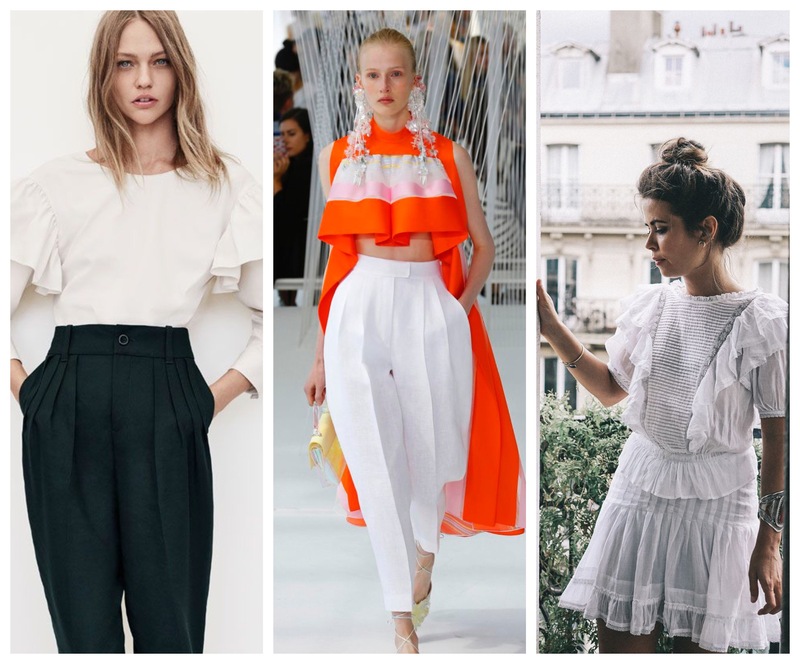 I’ve been looking at the new blouse pattern from Trend Patterns which I think would be perfect in a light cotton and short sleeves for summer! There’s also definitely going to be a ruffled TATB Coco in the near future! I love the drama of these but I’m not sure about the practicality. Am I the only one thinking about how I’m going to get these sleeves into a jacket? I got my hands on some iron on vinyl a while back which I’m dying to test out! Ideas on what slogans wanted! 5. 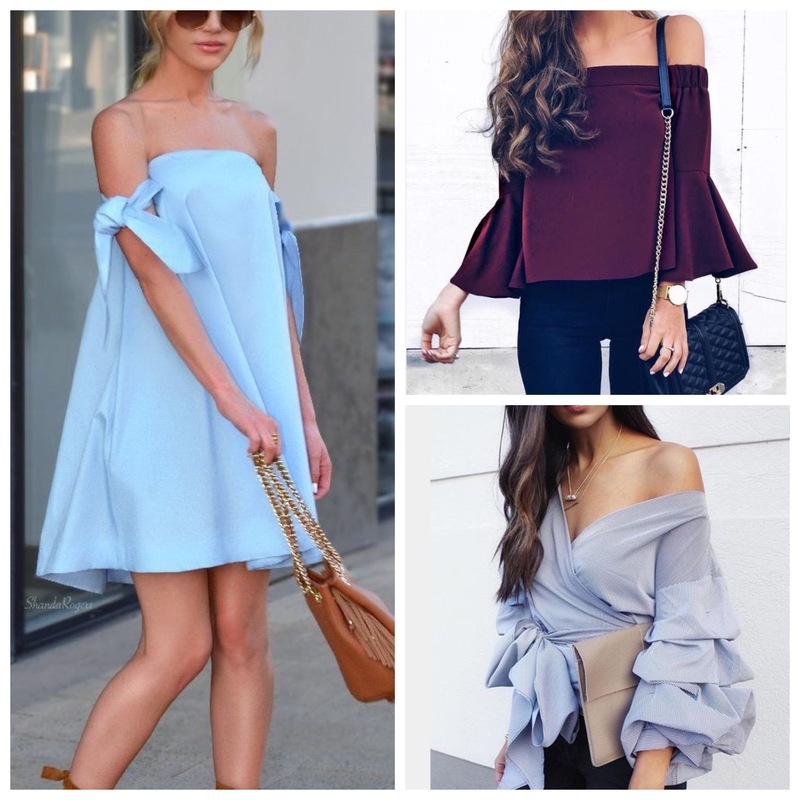 More off shoulder/ cold shoulder tops and dresses. I really liked this trend last year and it looks like it’s here to stay a while. 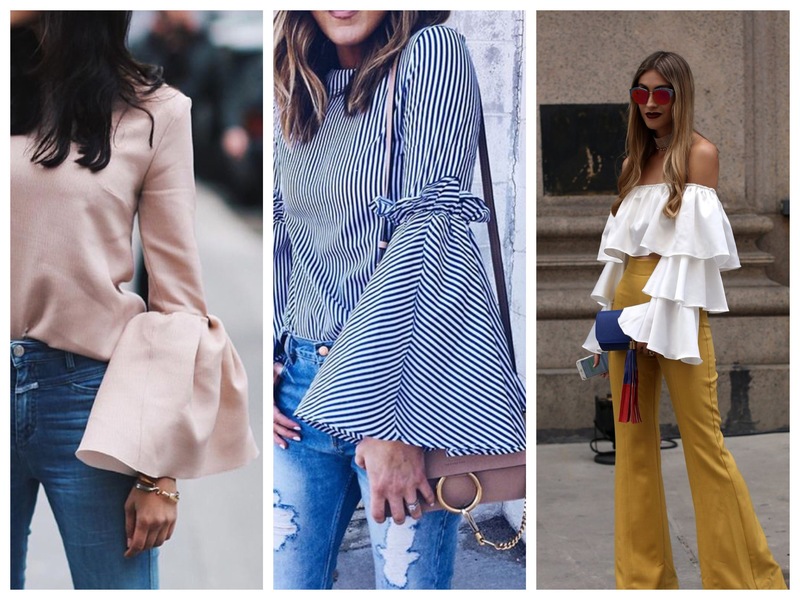 Off the shoulder looks help to broaden out my narrow ones which is only a good thing. Plus it’s a way to show skin without cleavage which is a nice touch! 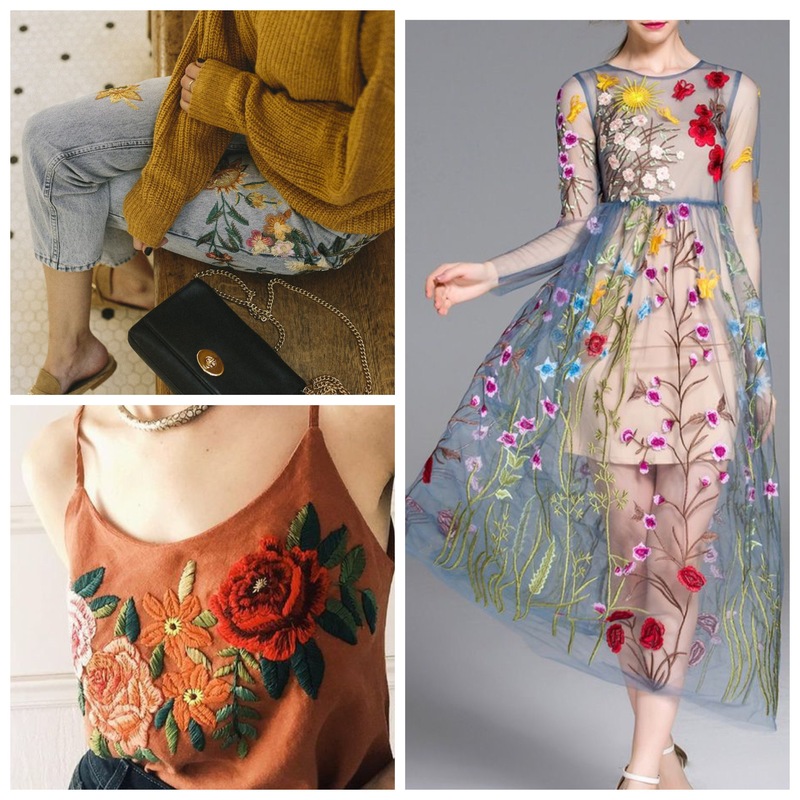 What will you be sewing for spring? I love the colours in the inspiration pictures! I’m super out of touch with trends so it’s nice to see some fun examples. What do you want to embroider on your jeans? I’ve seen some really cool slogan ones which would tie two goals together, haha! I really want to do some floral ones. A bit cliché but it would just look so pretty in the summer! I might add a slogan to the back waistband too though. I’ve seen some awesome ones around too! I want to try some things out with big floral prints! I am always afraid it will look like I have a mumu on, but I really love florals. I think it will all depends on what you make with it! I love floral patterns too but I find I don’t actually make a lot of clothes with it! Definitely need to change that! I’m sure it’ll come back to you if you start! My embroidery skills are so basic. I’m literally just colouring in with thread… It usually looks ok though! Love the embroidery look, I really want to have a go but not sure where to start, Pinterest was a bit hit and miss with tutorials. Ruffles are fab and are on my list, also love off the shoulder but can’t find a decent strapless bra!! There’s some good YouTube tutorials for embroidery. That’s where I started! Ah the strapless bra dilemma – it’s so hard getting a good one! Hope you have a great time skiing and don’t spend too much time falling down ! 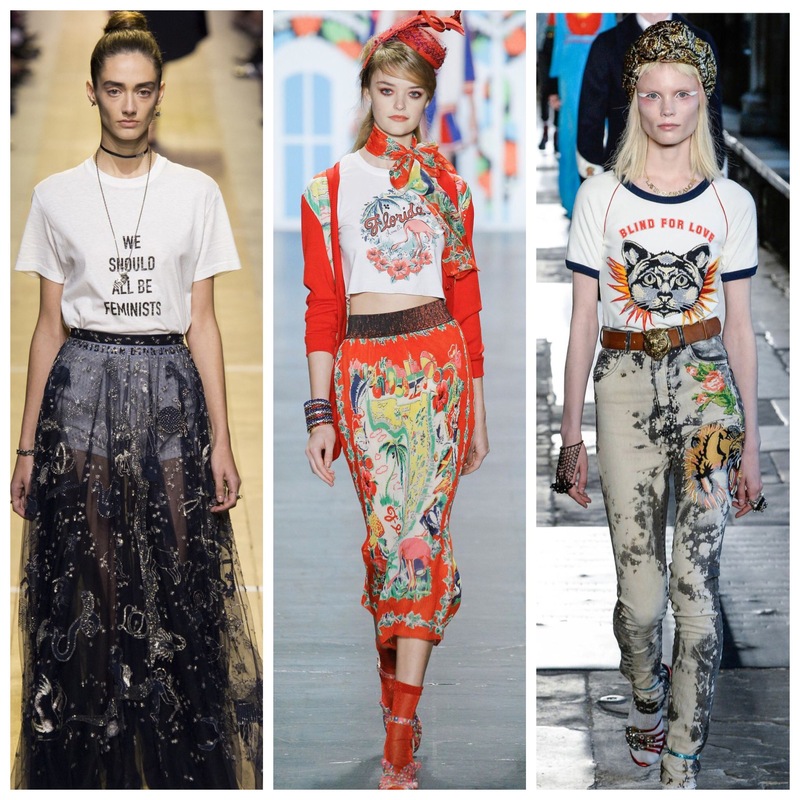 Love these trends that grey wrap blouse is beautiful, and I covet the embroidered camisole. Not sure if my embroidery skills are up to much , but I have seen transfers so might have a go !